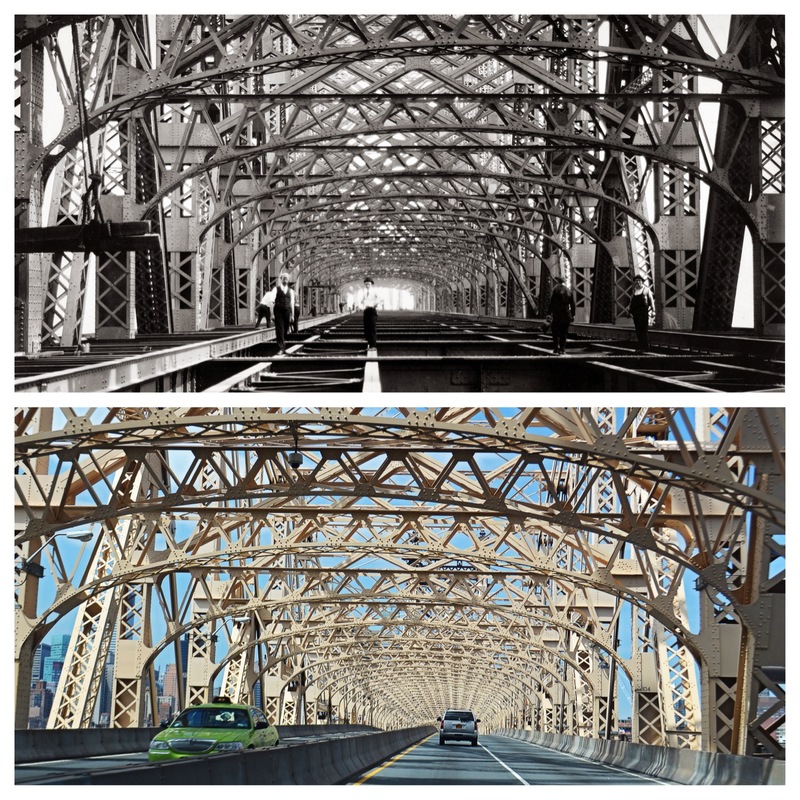 I love the top photo of men working on the Queensboro Bridge in 1907! 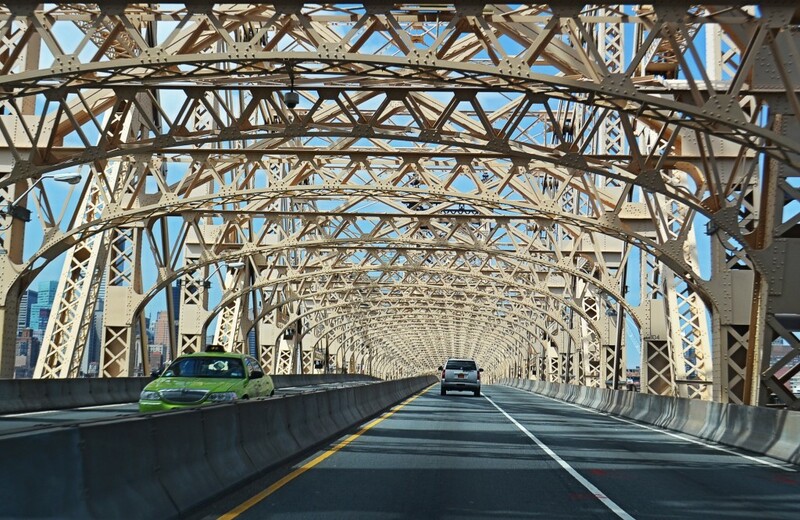 Today, I photographed a similar view while driving across the bridge with a friend. 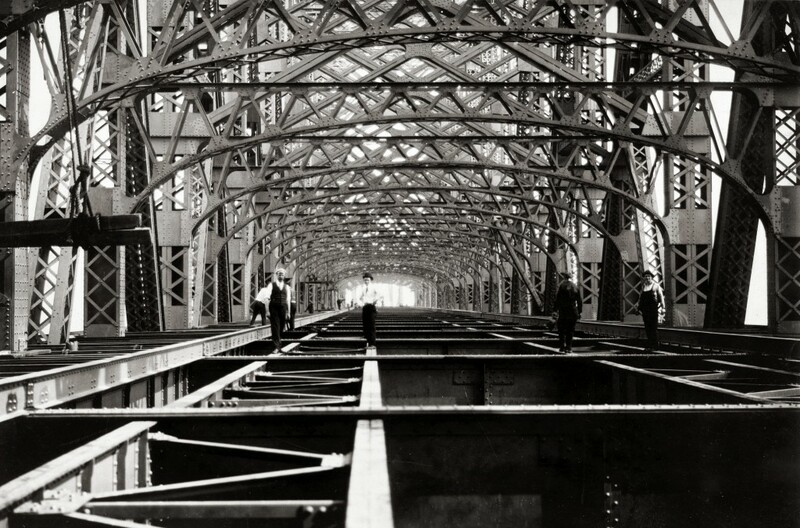 The bridge was constructed between 1901 and 1909. When it opened in June of 1909, it was called the Blackwell’s Island Bridge in dedication to the East River Island over which the bridge travels. Blackwell’s Island is now known as Roosevelt Island and, today, the bridge can go by several names: The Queensboro Bridge, The 59th Street Bridge, or the Ed Koch Queensboro Bridge (renamed in 2010). Keep reading to see the photos from 1907 and 2014 enlarged!